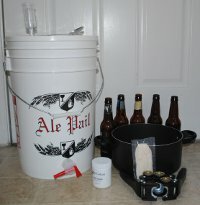 A tutorial to demonstrate homebrewing from the very beginning. This recipe can be purchased for around $15 from your local homebrew store. The Simplest Brew will walk you step by step in an easy to understand way showing you everything you need to know about brewing a simple American Pale Ale. 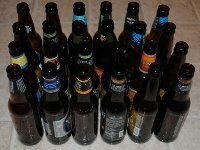 This tutorial will demonstrate how to bottle using a bottling bucket and will show you how to carbonate a beer with common granulated sugar. All-grain brewing is a way of taking your brewing to a new level. It allows you to have more control over your recipe and creates a whole new world of opportunities as far as selection goes. There is a huge selection of grains that just don't have equivalents in the extract scene. Batch sparging is a very easy way to go about sparging and allows you to use the cooler you converted into a Mash/Lauter tun using this tutorial. 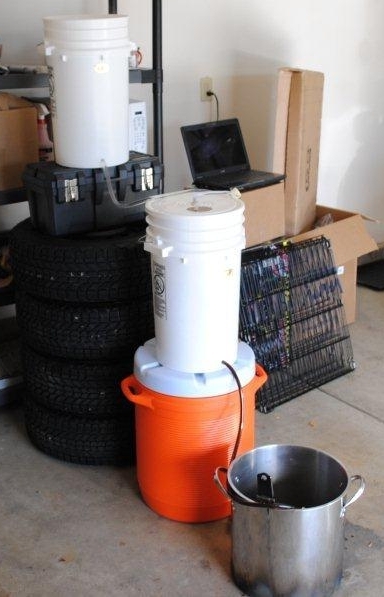 Batch sparging also offers an inexpensive way to get into all grain brewing. Fly sparging requires a little more equipment than Batch sparging. 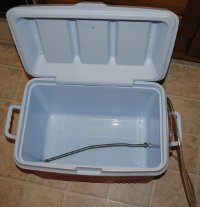 However, you can still use the cooler you converted into a Mash/Lauter tun using this tutorial. Fly sparging is a standard method of sparging and is supposed to offer better efficiency than Batch sparging. This fact however, is debatable.